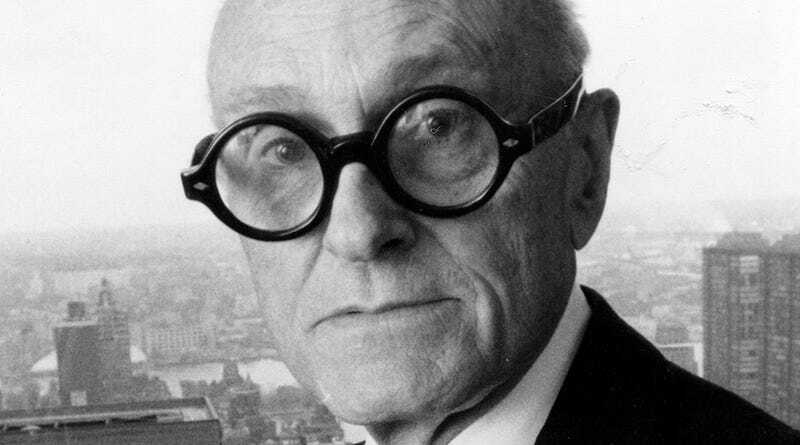 American architect Philip Johnson designed some of the most iconic buildings of the 20th century. Johnson, who died in 2005, has long been hailed as one of the greats. But there's one fact about the man that many people in the architecture community don't like to talk about: Johnson was a fascist who openly supported Adolf Hitler and the Nazis for nearly a decade. Today is the 50th anniversary of the 1964 New York World's Fair opening, so special attention is being paid to one of Johnson's most beloved buildings: the New York State Pavilion in Flushing Meadows. It's open today for the first time in nearly 27 years, and there's a line around the block just to get in to see the crumbling structure. The debate over whether to restore the site rages on. But one thing almost never mentioned when discussing this structure or his architecture in general is that Philip Johnson was a terrible, hateful human being. And he wasn't just some casual Nazi sympathizer whispering, "maybe Hitler has some good ideas" in shadowy bars, either. He actively campaigned for Nazi causes in the U.S. and around the world. Johnson visited Germany in the 1930s at the invitation of the government's Propaganda Ministry. He wrote numerous articles for far right publications. He started a fascist organization called the Gray Shirts in the United States. He was with the Nazis when they invaded Poland and wrote about how it wasn't as bad as the American press was making it out to be. He was an ardent supporter of the notoriously anti-semitic Father Coughlin. And he was so in the tank for the Nazis that the FBI even suspected him of being a spy. "You simply could not fail to be caught up in the excitement of it," Johnson would tell an interviewer about attending a 1932 Hitler rally in Potsdam, Germany. "...by the marching songs, by the crescendo and climax of the whole thing, as Hitler came on at last to harangue the crowd." Johnson embraced nearly everything Hitler stood for. As late as 1940, Johnson was insisting that photos of victims of the Nazis being shown in the American press were staged in Brooklyn. He openly talked about his hatred for the Jews — "a different breed of humanity, flitting about like locusts," as he would later describe them — and his belief in racial purity. "The decline in fertility, so far as scientists have been able to discover, is unique in the history of the white race," Johnson wrote in a 1938 article. "In short, the United States of America is committing race suicide." Johnson was an advocate of forced eugenics. He was called a fascist in Harper's. But none of this hindered his career. He would go on to become a well-respected member of the architecture community, rarely confronted with his disgusting past — a decade of racist, fascist hate-mongering. The weird thing about those who might dismiss Johnson's fascist politics as a youthful mistake is that Johnson never really apologized. As Kazys Varnelis explains in a 1995 paper, "We Cannot Not Know History," Johnson never flatly said that what he did was wrong or that he was sorry to have been an open advocate of evil for so many years. As best I can tell, that held true until his death in 2005. On the rare occasion that he was asked about what he was doing during the 1930s, Johnson would deflect the question. The best he could muster was saying that there was no excuse for his "unbelievable stupidity" while quickly transitioning into a different topic. I got Johnson's FBI file through a FOIA request and have uploaded it to Scribd (with part 1 and part 2), since it appears to not be available anywhere else on the web. You can see in those pages a White House inquiry into his background in April of 1963, which we can probably assume was related to Johnson's participation in the 1964 New York World's Fair, which would open the following year. The architecture community has a bit of soul searching to do. It's not like this is new information, which is what's so puzzling about his legacy here in the 21st century. 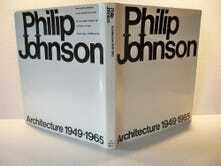 Why do so few people want to discuss the fact that Philip Johnson was a despicable fascist? And should we consider his history of hate during debates about what to do with his buildings? Consider this post a vote for "yes."